A New Year’s Resolution—I will start now to Spring Clean some of my eating habits so I can have a clean and more healthful lifestyle! Better choices can make a huge difference, so skip the soda and try something good for you instead! Liquidology’s flavors are seasonal and change frequently. Come sample a few on January 8, 16 and 25, 12-3:30 pm. For those of you not familiar with kombucha, it is made by fermenting black or green tea and lightly sweetening and flavoring it. Loyal kombucha drinkers claim many health benefits from this probiotic liquid. Nash’s Natural Brewing Company in Auburn makes a “blissfully mellow”, easy to drink, sweet and herbal kombucha. Look for Citrus Hibiscus and Cherry Blossom at Newcastle Produce and come sample their kombucha at NP on January 15 from 12-3:30 pm. Matcha, the ancient Japanese green tea drink, has incredible health benefits. Try an organic Matcha Tea Latte in the deli for a healthful and delicious pick-me-up. Have you ever tasted tofu made with the finest soybeans available? Hodo’s Soy Beanery in West Oakland uses only Organic Non-GMO soybeans grown in the USA to produce their exceptional tofu. community. The enthusiastic response his tofu received enabled him to open the Beanery, and this month he is expanding production by taking over the facility in Sacramento formerly occupied by Sacramento Tofu. We are currently stocking Hodo’s Firm Tofu. It is packed dry rather than in water and doesn’t crumble like water packed tofu. Try it in Chef Chelsea’s Tofu with Heirloom Red Rice and Kimchi. 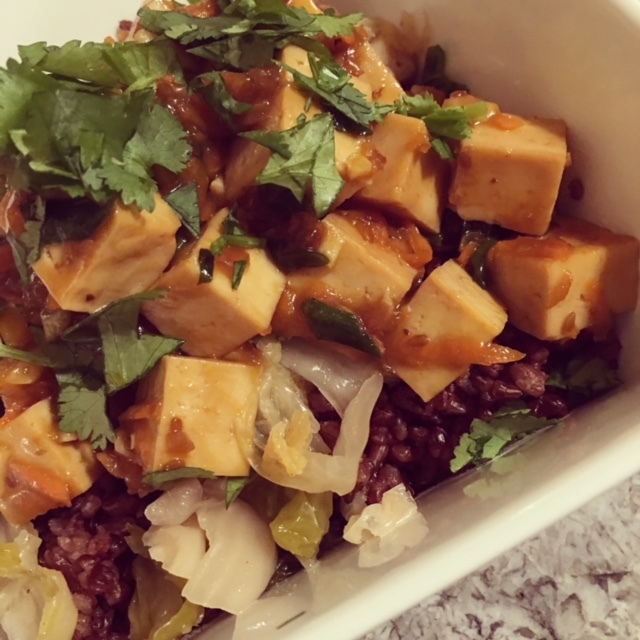 Try Chef Chelsea’s Tofu with Heirloom Red Rice & Kimchi for a Meatless Monday entree. Click here for the recipe. January 8, 12-3:30 pm., wine tasting with Naggiar Vineyards, Grass Valley. January 8, 12-3:30 pm., juice tasting with Liquidology, Sacramento. January 15, 12-3:30 pm., kombucha tasting with Nash’s Natural Brewing Co., Auburn. 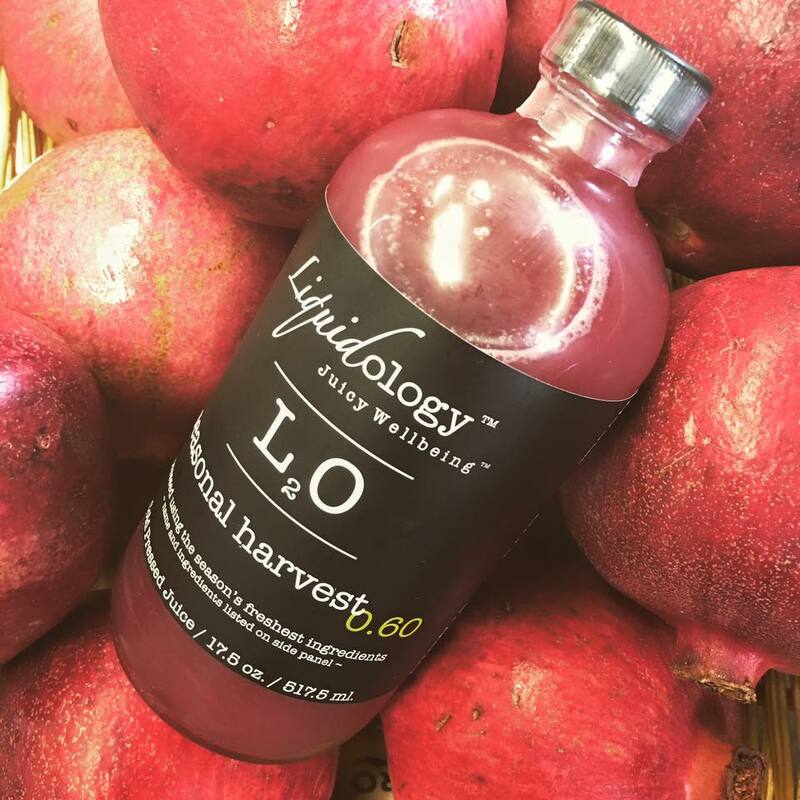 January 16, 12-3:30 pm., juice tasting with Liquidology, Sacramento. January 22, 12-3:30 pm., wine tasting with Rock Hill Winery, Loomis. January 25, 12-3:30 pm, juice tasting with Liquidology, Sacramento. January 29, 12-3:30 pm., Matcha tasting with Republic of Tea Matcha, Novato.